The clinician-monitored pelvic health app that increases patient adherence, improves patient outcomes and helps clinics save costs. It’s estimated that 14 million men, women, young people and children of all ages are living with bladder problems. Plus, an additional 6.5 million adults in the UK suffer with some form of bowel problem. Around 34% of women are living with urinary incontinence and only one in five of those affected seek help for their issues. When they do seek help, patients often still have trouble remembering to do their exercises and often miss or skip appointments. This results in it often taking longer to see the desired improvements in outcomes, DNAs are increased and the treatment cycle is unnecessarily lengthened. Living With Pelvic Health is built upon the strong foundation of Squeezy and expands its reach by supporting a larger range of pelvic health issues including urinary and bowel incontinence, prolapse, pelvic pain and post prostatectomy. 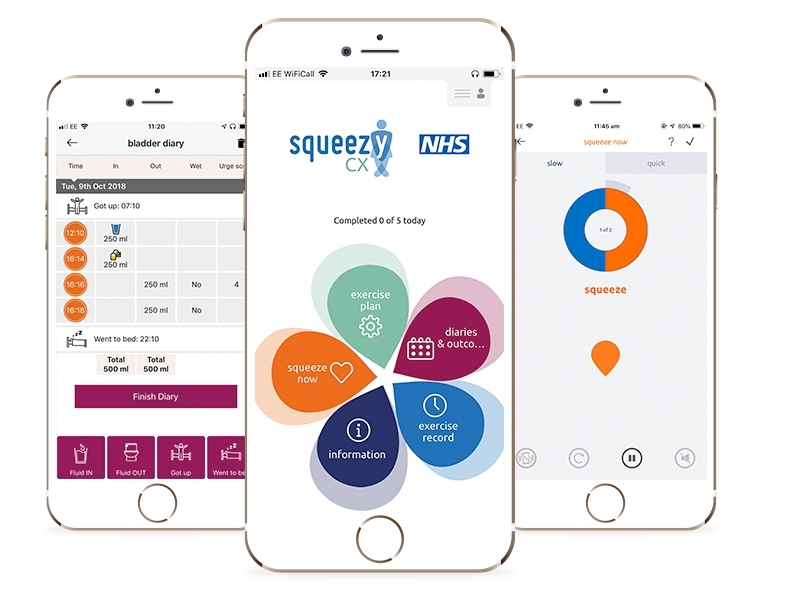 Living With Pelvic Health enables clinicians to give a free and connected version of Squeezy (SqueezyCX) to their patients. The result is that clinicians can login and view their patients’ progress at any time. 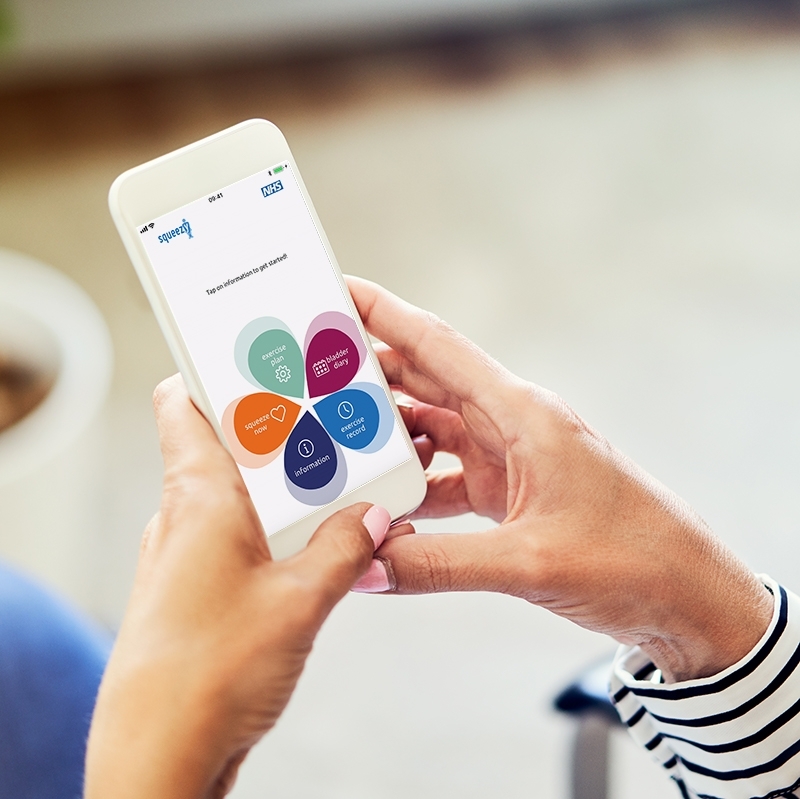 Living With Pelvic Health acts as a decision support tool with detailed breakdowns of key data points such as pelvic floor muscle exercise programme adherence, outcome data from bladder or bowel PROMs and diaries as reported by patients via the app. 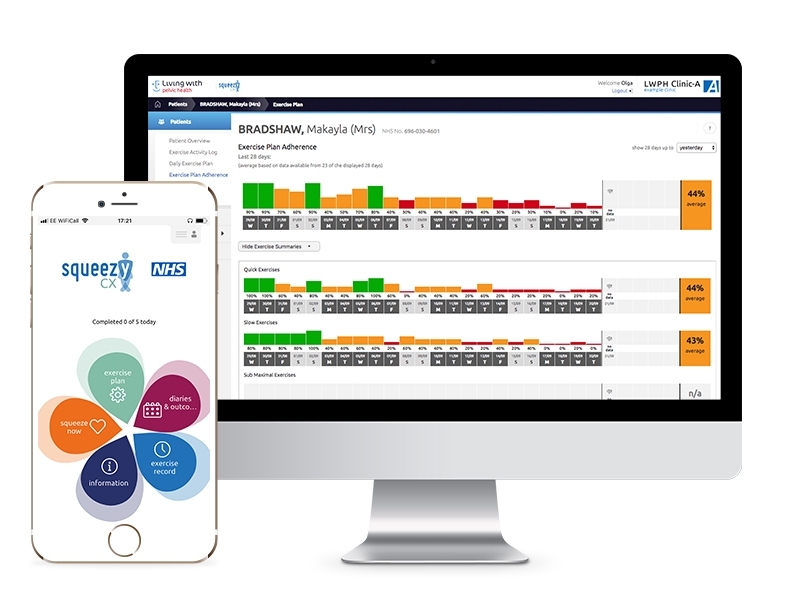 Get in touch to book a demo where we’ll walk you through the Living With Pelvic Health software, discuss how it could integrate into staff workflows and identify ways it can support efficiencies in your clinic.